Empowers the Lowcountry through community outreach to make informed decisions about their healthcare. Our team of healthcare professionals visits you at home. Home may be a house, a skilled nursing facility, or an assisted living facility. We provide care anywhere a person calls home. The Joint Commission accredits only organizations providing the highest quality of care. Our team includes Palliative Care Nurses, Masters-prepared Social Workers, Certified Nursing Assistants, Non-denominational Chaplains, Volunteers, and Hospice Physicians, who work together with the Patient’s Attending Physician to provide comprehensive care. Our team of Hospice Physicians is available to make home visits when needed. 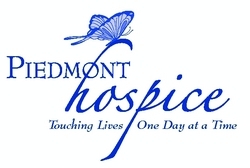 Equipment, supplies, and medications related to the hospice diagnosis are included under the hospice benefit. We’re always just a phone call away to listen, make recommendations, and visit if symptoms or pain are out of control. We also provide care for patients who do not have insurance. This team provides around-the-clock nursing care in the home in times of crisis. We provide this outreach as a part of our mission to support and empower our community. The Hospice Care Charity assists patients and families with any needs not provided under the hospice benefit.